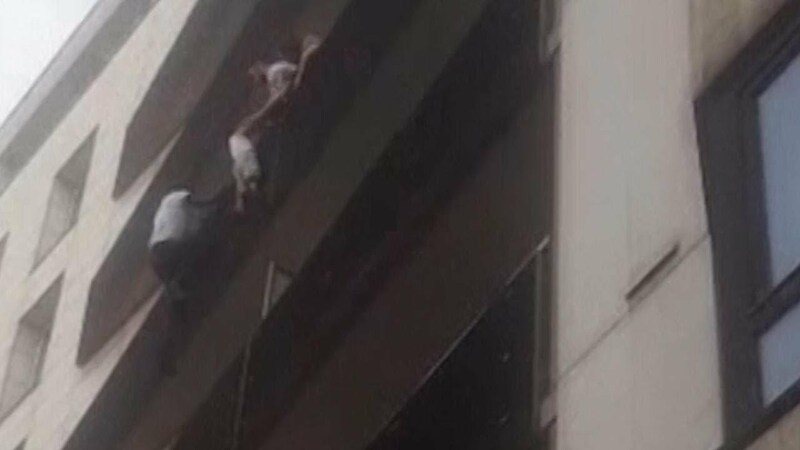 It took 22-year-old Mamoudou Gassama just seconds to reach a child that was dangling from the fifth-floor balcony of a building in Paris, saving the four-year-old boy. The undocumented migrant worker from Mali was rewarded handsomely for his courageous act. French President Emmanuel Macron met with the man and granted him French citizenship and a job as a firefighter. ...The young man said he has papers to legally stay in Italy, where he arrived in Europe after crossing the Mediterranean, ending a long, rough stay in Libya. But he came to France last September to join his older brother, who has lived in France for decades.